Dr. Lenore Newman of the University of the Fraser Valley is in good company these days. She has been chosen to be part of the inaugural cohort of the Royal Society of Canada’s College of New Scholars. A total of 91 members have been selected as part of this first cohort. They will be inducted at a ceremony on Nov 21 in Quebec City. Newman holds the UFV Canada Research Chair in Food Security and the Environment and is a member of UFV’s Geography and the Environment department. College members are selected through a nomination process and have typically finished their final academic degree 15 or fewer years ago. The Royal Society of Canada: The Academies of Arts, Humanities, and Sciences of Canada was established in 1882 as the senior Canadian collegium of distinguished scholars, artists, and scientists. The primary objective of the society is to promote learning and research in the arts, the humanities and the natural and social sciences. “We are very thrilled to have had one of our faculty members selected to the inaugural cohort of the Royal Society’s College of New Scholars,” said Dr. Adrienne Chan, Associate Vice President of Research, Engagement, and Graduate Studies. “We were allowed to submit two nominations and there was no guarantee that one would be successful. 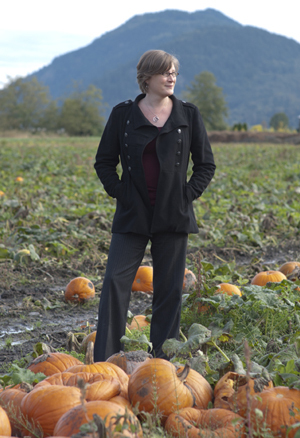 Lenore has a great track record and reputation for her important research in the area of food security, agriburbia, and British Columbia’s Agricultural Land Reserve.